Pensonic released their recent QR and the share price barely moved despite a wonderful results. In addition, Pensonic even declared a record dividend at 3 sens. 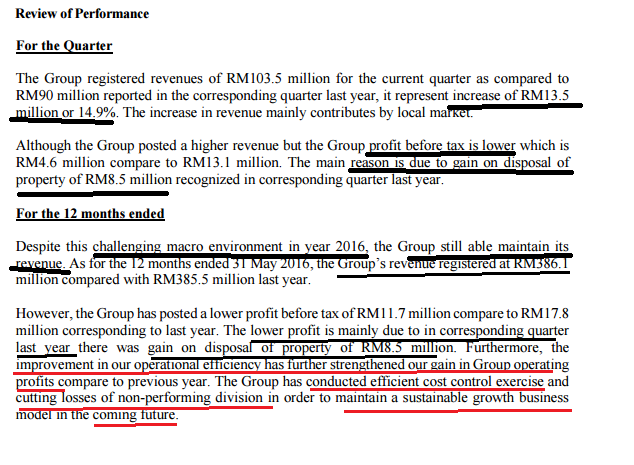 Readers must be now thinking how can I say record Dividend in the past 3 years when just 1 year ago, Pensonic declared 3.5 sens dividend. In fact, this is not a typo. This is also not a mistake. Look past last year results, and readers will understand why. From the chart below, it is quite obvious that the revenue remained about the same whereas the profit margin fell and hence the profit fell too. However this is the problem with most people when looking at high level accounts. You have to look closer to see the anomaly. 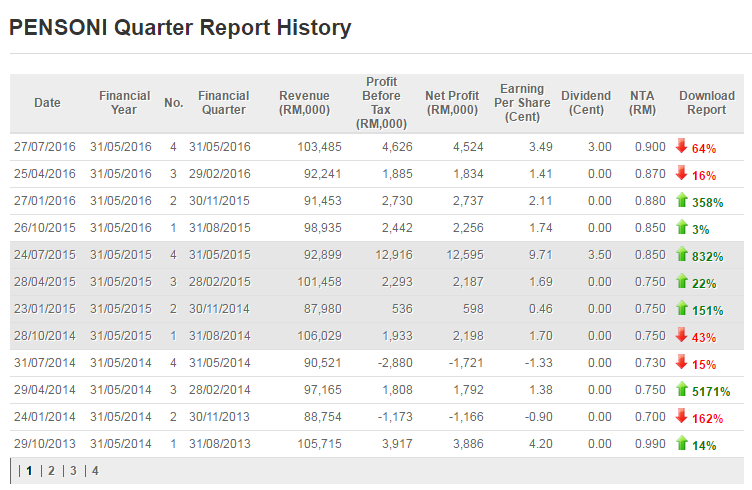 For Q42015, the EPS was 9.71 sens whereas the current is 3.49 sens. If one go into the details, one will understand the 9.71 was derived primarily from disposal gain. Unlike the latest QR, the EPS of 3.49 sens is derive from business operations. There is no one off. Hence, when I say the Dividend declared is record high because it is in the course of normal business operations and dealings that Pensonic was able to declare such a good dividend. 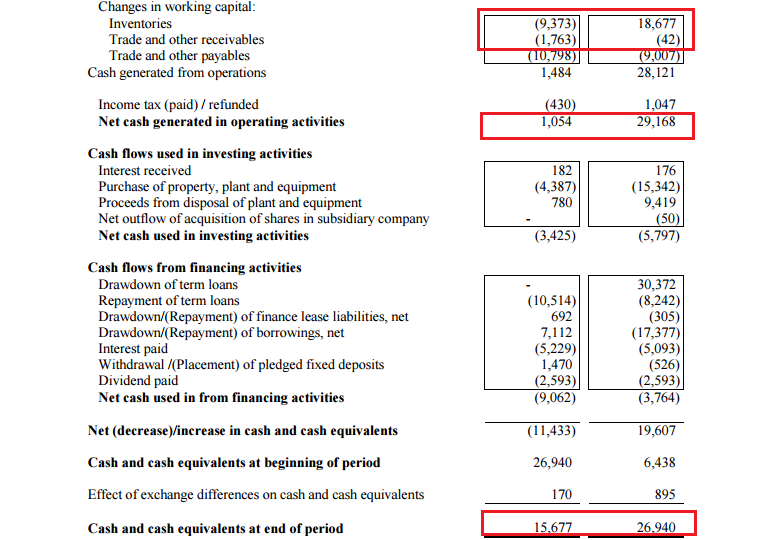 Look 2 years back and you will notice there was no dividend given and profits was negligible. Additionally, the total EPS for the year comes up to 8.75 sens which is also a record high. Despite record high profit and dividend, the share price did not react positively. This is what we call "market is irrational". If the market is always rational, there is no money to be made. This is a clear example of opprtunity in the market due to irrationality. I like Pensonic for a variety of reasons. At current price of RM0.67 the PE is 7.7x with ROE at 9.72. The NTA is RM0.90 sens. If you exclude the one off gain, the net profit increase from both years before. As per the red underlined words, Pensonic management was able to weather headwinds from the economy through efficient cost cutting initiatives. This not only allowed them to do well for the latest quarter but likely to ensure continuing growth in the future. 3. Reduction in cash but for a bigger purpose? From the QR, we notice also that the cash level has fallen considerably. This is usually not good. However, a closer look may show otherwise. A few key difference in the usage of cash comes to mind. Firstly, the earlier correponding quarter, there was the disposal of property that helped with the cash flow. Secondly, the company also made an acquisition of asset as mentioned " During the current financial period ended 31 May 2016, the Group has acquired assets at a cost of RM4.4 million (31 May 2015: RM23.0 million) including RM1.3 million of finance liabilities. 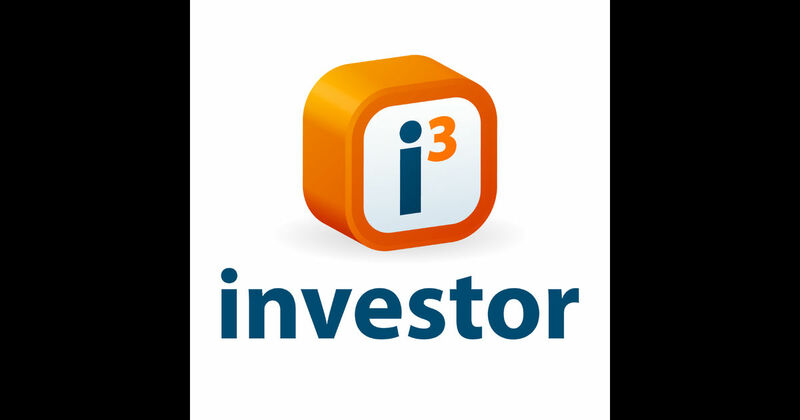 (31 May 2015: RM0.4 million)". Thirdly and most importantly, is the changes to inventories and trade receivables. There is a significant increase in both of these which I do not think is a bad thing. Yes, collection is slower is not too good but an increase of inventories may potentially mean poor sales. We know that is not the case, so the only possible explanation is that the company is stocking up for the upcoming festive season which I will elaborate in the next point. If my assumption is accurate, this would mean that the upcoming quarter results may further exceeed expectations. It clear Pensonic business is affected by festivities as well as sales carnivals etc. The current quarter under review is results as of March, April, May 2016. Hari Raya celebration was July this year and Raya sales would truly only pick up commencing June. This strong set of results have yet to even include that of Raya month which traditionally has been the stronger retail month in a year. The next quarter would exceed expectations with the Raya sales posting stronger results for the group. I believe Pensonic is currently undervalued at 7.7x trailing PE. Forward looking, I am certain the next quarter would show strong performance for the group as the results would take into account of the Raya sales. The profit margin should also be stronger due the company's cost cutting initiative. Growth in revenue will depend strongly on their ability to take on new markets outside of Malaysia. Assuming the revenue maintain along with the profit margin, this would bring the total annualise EPS to around 12 sens. Applying a multiple of 8x, the fair value would be RM0.96 sens. 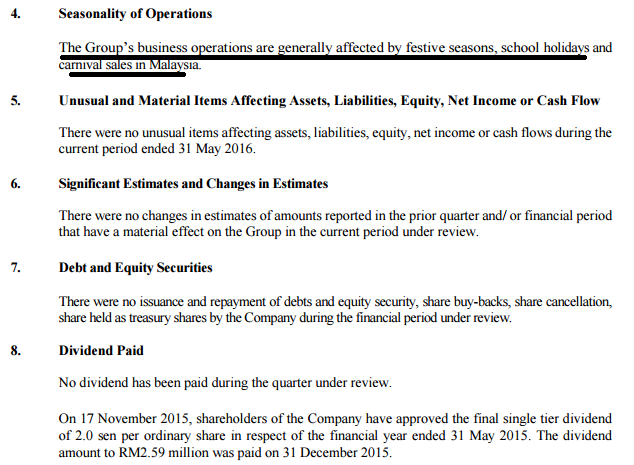 Coupled with the annual dividend payout of 3 sens, the intrinsic value should be around RM0.99. This is excluding their potential future growth which will lift the PE valuation but I will revisit Pensonic in the coming quarterly results to assess the low PE valuation pegged to the company. I am extremely conservative, so I will put a 20% discount to fair value. At current price of RM0.675, it is my take to collect Pensonic. By virtue of the 3 sens dividend payable in the next 2 months (September), this would translate to a DY of 4.4% which is even higher than FD especially following the fall in OPR of 25 basis point by BNM. The DY will also act as a defence for Pensonic in volatile market holding its price at this attractive valuation. It takes a scavenger to find gold but an explorer to discover new frontiers. I choose to be the latter.